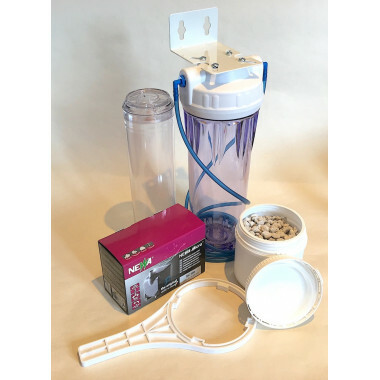 Nitrate Filters / Reactors There are 10 products. 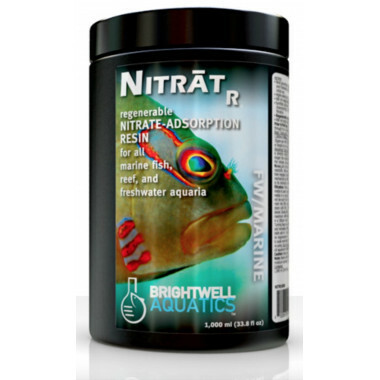 Aquarium Filter MediaProduct DescriptionThis specifically graded natural filter media will provide a huge surface area for biological filters to develop. Each litre of media provides a surface area greater than 600m2 and is ideal for use in all water types. It has a structure which is suitable for both aerobic and anaerobic filtration. 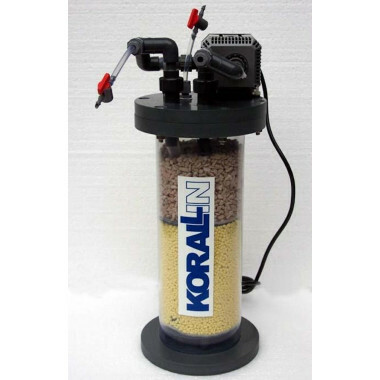 This filter comes complete containing Sulphur and buffering media and uses a natural biological process with live anaerobic bacteria to reduce nitrates found in aquarium. The bacteria in the reactor require a food source and oxygen to survive, with the food source being the sulphur media in the reactor. 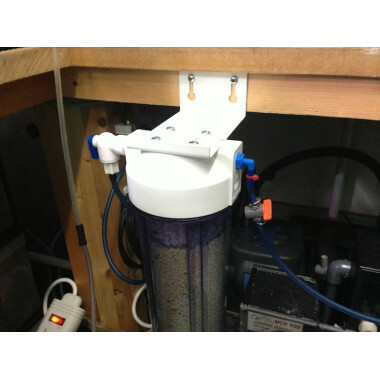 This filter comes complete with all the equipment you need to start to reduce the nitrates in your system. 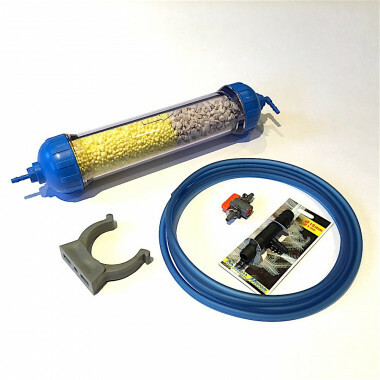 This filter comes complete with a cartridge containing Sulphur and buffering media and uses a natural biological process with live anaerobic bacteria to reduce nitrates found in aquarium. The bacteria in the reactor require a food source and oxygen to survive, with the food source being the sulphur media in the reactor.